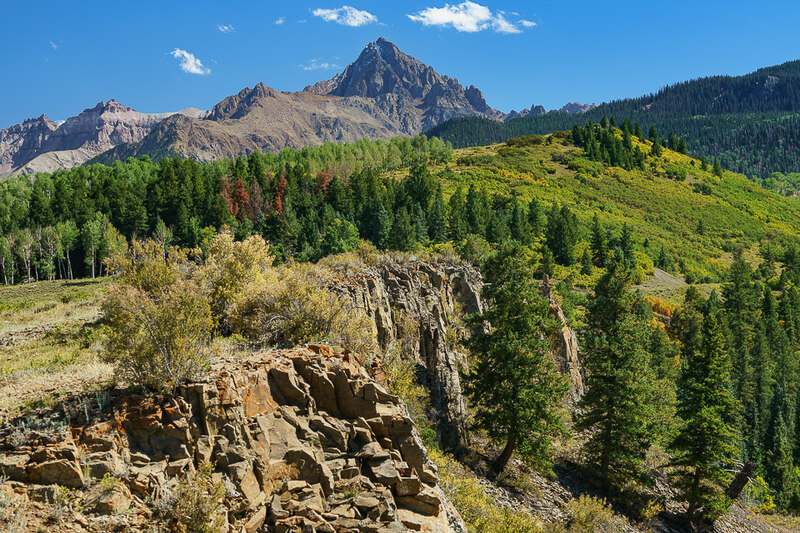 A polarizing filter is one of the most essential tools in a landscape photographer’s bag. It is typically the first filter landscape photographers buy to instantly improve their pictures by adding vividness and contrast to them. In this article, we will go through detailed information on polarizing filters, what they do, why they are important and why you should consider using them for your landscape photography. 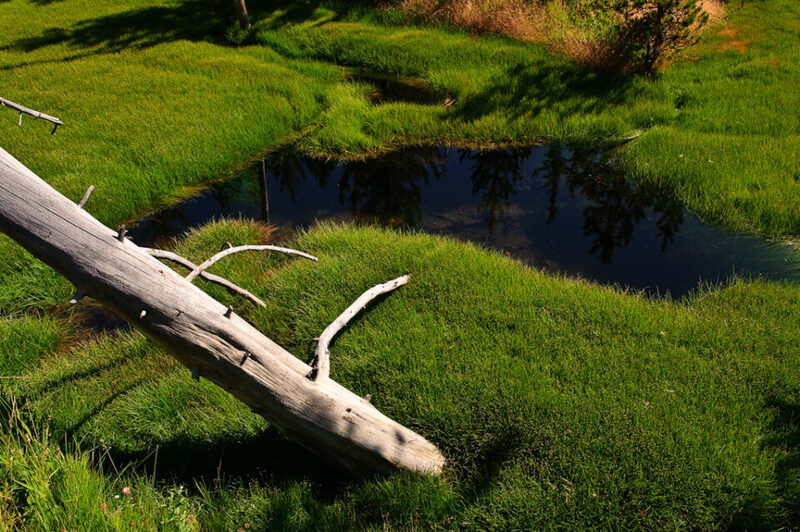 1) Why Use a Polarizing Filter? One of the biggest frustrations when shooting landscapes has to do with lack of color. Due to the fact that sunlight gets bounced all over atmosphere and objects present in a landscape, eventually making its way into your camera at specific angles, many photographs end up looking bland and lifeless. A quick way to reduce such reflections is to use a polarizing filter. Once attached to the front of a lens and rotated to a particular angle, it is capable of cutting out most of the reflected light in a scene, instantly enhancing resulting photographs by increasing color saturation and contrast. 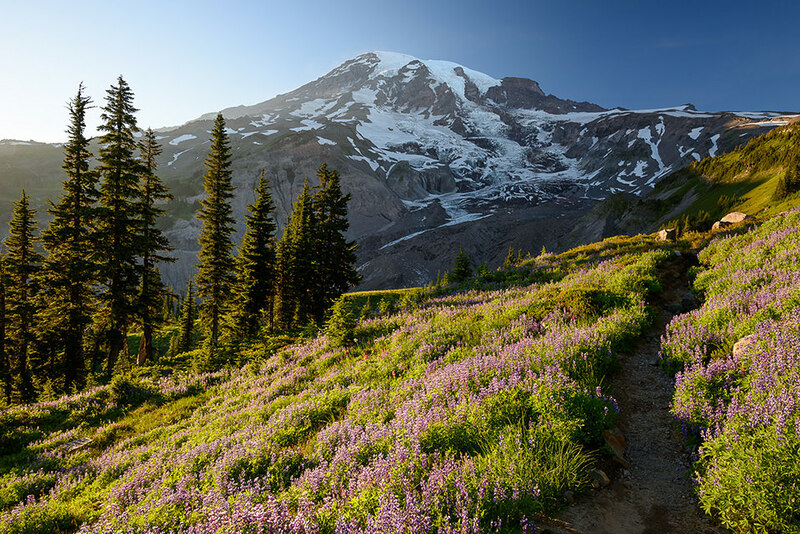 When photographing distant subjects such as mountains, a polarizing filter can also help in reducing atmospheric haze. So if you are wondering how some photographers manage to get rich colors in their photographs, particularly when it comes to the sky, foliage and distant subjects, you will find that in many cases, they heavily rely on polarizing filters. Although color can certainly be added to photographs in post-processing, the effect of a polarizing filter cannot be fully replicated in software, especially when it comes to reducing reflections and haze in a scene, making the filter indispensable for landscape photography. Most lenses are designed to have a screw-on filter thread in the front part of the lens, allowing one to mount any matching size filter. Such lenses can accommodate a circular polarizing filter, also known as a “circular polarizer”. A circular polarizer is very easy to use and once it is attached to the front of the lens, it can be rotated either clockwise or counter-clockwise to increase or decrease the effect of polarization. 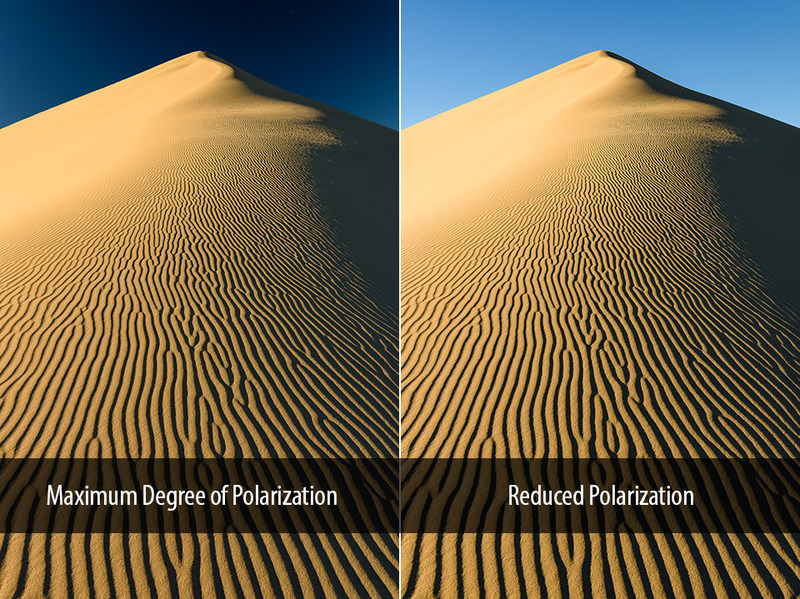 Polarization can vary greatly depending on the celestial position of the sun, so it is important to understand that both time of the day and time of the year can impact the amount of polarization one can obtain from a polarizing filter. With the sun rising from the left of the frame, it is very clear that the right side of the sky in the image is where the maximum degree of polarization is, making that particular part of the sky much darker compared to the left. 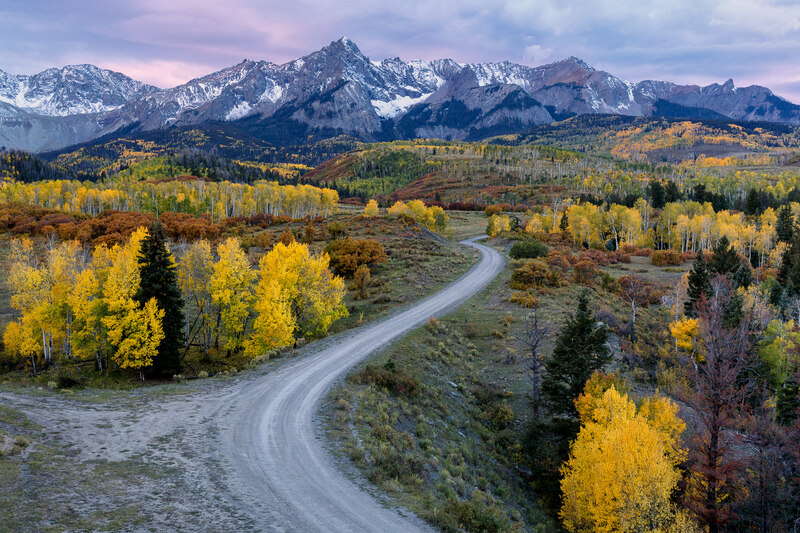 Such situations are commonly encountered when photographing landscapes at the golden hour, so one must be careful when using a polarizing filter, especially when shooting with a wide-angle lens. In some cases, it might be helpful to switch to a telephoto lens and concentrate on a much smaller area of the scene, effectively concealing the uneven sky. 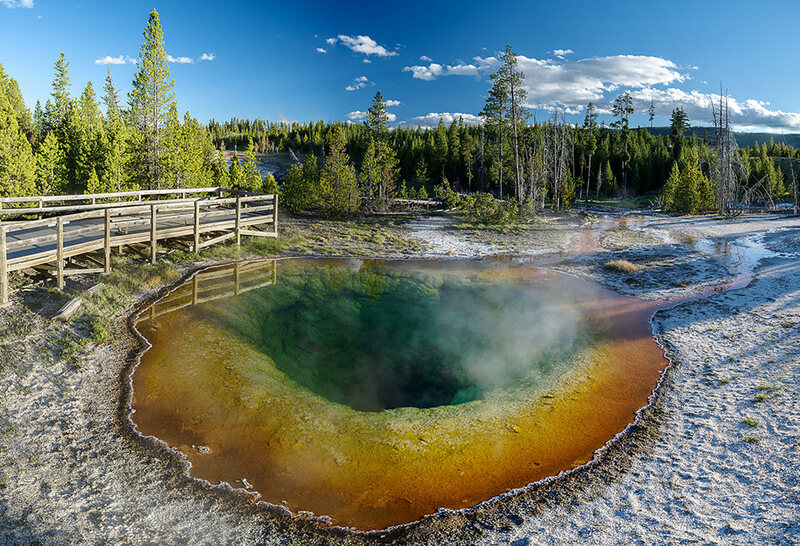 Due to my proximity to the Morning Glory hot spring in Yellowstone National Park and lack of an ultra wide-angle lens, I had to shoot a panorama at 24mm focal length, composed of several vertical frames. Once the panorama was stitched in Lightroom, the problem with the polarization in the sky became very apparent. Here, one can clearly see that the center of the sky is where the maximum degree of polarization is – both left and right sides of the frame look much brighter in comparison. This is because the sun was setting on the right side of the frame, which means that the darkest part of the sky would have been vertical, as seen here. Gradient skies can be very difficult to deal with in post-processing, so one must be very careful when using polarizing filters close to sunrise and sunset times, especially when using wide-angle lenses. In many cases, cutting the amount of sky captured in a scene and rotating the polarizing filter to reduce its effect can prove to be effective, as seen below. However, in some cases where re-framing is not desired, it might be better to remove the polarizing filter completely to avoid capturing gradient skies. I captured the first image with the polarizing filter rotated to yield the maximum polarizing effect, which unnaturally darkened the sky and made it appear uneven. To take care of the problem, all I had to do was rotate the filter until the sky returned to a much brighter state. As you can see, the photograph on the right looks much better in comparison and with just a single turn, I was able to address the issue without having to remove the filter. As you can see, the pond was reflecting the sky and the trees in the background into my camera. By using a polarizing filter, I was not just able to cut down most of the reflections from the pond, but also reduce the micro reflections coming from the surrounding grass the scene, which changed the appearance and the color of the glass in the resulting photograph. Such effects can never be replicated in post-processing software. If I had not used a circular polarizing filter, it would have taken me a significant amount of time to try to replicate these changes in Photoshop and I am fairly confident that the result would not even come close in comparison. 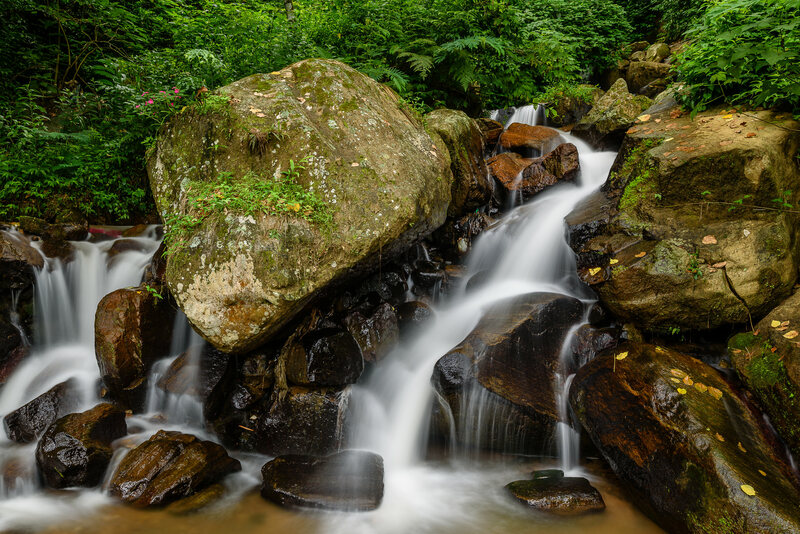 When photographing waterfalls, you deal with highly reflective rocks, since they have water and other wet vegetation on them, all of which send nasty reflections right into your camera. A polarizing filter makes a huge difference in such situations, not only significantly cutting down on those reflections, but also increasing the overall saturation and contrast of the image. Polarizing filters can mess up the sky: as explained in sections #2 and #3, using a polarizing filter on a wide-angle lens near sunrise and sunset times can potentially make your sky appear gradient and uneven. The same goes for panoramas – be extra careful when shooting panoramas, as you could end up with a sky that is very difficult to fix in post-processing. Polarizing filters require more time to set up and use: when taking pictures with a polarizing filter, one has to pay a bit more attention to the picture taking process, since circular polarizers require adjustment each time framing changes significantly, as the effect of the polarizing filter varies greatly depending on the position of the sun and the direction of the camera. Also, sometimes it is hard to see changes in the viewfinder when rotating circular polarizing filters, especially when using cameras with smaller viewfinders. Polarizing filters rob light: one of the main disadvantages of polarizing filters, is that they reduce the amount of light entering your lens. Some filters are worse than others in this regard, but in general, you can expect polarizing filters to decrease your exposure time by 2-3 stops. Highest quality B+W filters typically block very little light between 1-1.5 stops, but some older and poor quality polarizing filters can bring your shutter speed down by 3+ stops, which is significant. For this reason alone, polarizing filters should be used sparingly, only when they are needed. High quality polarizing filters are expensive: depending on the size of the filter, the quality of glass, multi-resistant coatings and brand, high-quality polarizing filters can be quite expensive, especially if you want to buy a polarizer for each filter size you have. Instead of buying many different size filters, my recommendation would be to buy one filter (pick the largest filter thread size you have) and for all other lenses you have, get much cheaper step-up rings. This way, you can easily use the same filter on different lenses. It might take more time to set up in the field, but you won’t have to pay hundreds of dollars to get CPL filters on all your lenses. Polarizing filters can add more ghosting and flare to images: since it is another piece of glass in front of your lens, there is always a potential to see more ghosting and flare in your photographs, especially when using a cheap quality polarizing filter. Additionally, you must always make sure to keep both your lens front element and your polarizing filter clean, as dust particles and other debris could add to more internal reflections, reducing both contrast and image quality of your photographs. Polarizing filters can add vignetting: when using polarizing filters with some wide-angle lenses, you might see noticeable vignetting in the corners of the frame. To avoid vignetting issues, we recommend not to stack filters and only buy “slim” or “nano” type polarizing filters, which are much thinner compared to full-size polarizing filters (please note that some thinner filters can make it difficult to use lens caps). I personally use and highly recommend the B+W 77mm XS-Pro Kaeseman Circular Polarizing MRC Nano filter, because of its top notch optics, small footprint and very little light loss of 1-1.5 stops, but there are many other high-quality polarizing filters available on the market today – some cheaper, others more expensive. Please make sure to only buy high-quality polarizing filters – you do not want to put a cheap piece of glass in front of your expensive lens, only to be later disappointed by poor image quality and unwanted ghosting and flare. Bad quality filters are not worth wasting your money and time on! What do you think on which lens it is more practical to use polarizing filter; on 50mm prime lens or 18-55kit lens? NanOnaN: I would go for a polarizing filter on the 18-55kit lens, because the fixed 50mm would be too long and restrictive (equivalent to 75mm) on a DX sensor. But most of the 18-55 kits have a rotating front element for focus. This will mess with the adjustment done by rotating the filter. Worth noting that, at least with Nikon, the 18-55 kit lens when auto focusing will rotate your filter. A bit of a bummer. Just now got my first dslr D3000 with kit lenses. I wanted to get 50mm f/1.8 prime as well, but they told that it does not have auto focus on D3000 body. So what do you think manual focusing is not that hard? is it worth to buy manual focusing 50mm prime anyways? If you have never used a DSLR before, I would NOT recommend buying a manual focus lens. Why don’t you get the 35mm f/1.8 DX instead? It works perfectly well on the D3000. I’m really intrigued by your comment as to not buy a manual focus lens for beginners. I just bought a Canon 24-70L lens that has manual focus. Am I doing something wrong? And I got a vu Ariel polarizer with it along with a regular uv filter (both are attached) . Can I use both filters at night? Or just one? Tsleel, usually manual focus lenses are tough to get used to for beginners – it is easier to start with an autofocus lens. Please do not stack filters and only use the polarizing filter sparingly, as explained in the above article. OK thank you for recommendation. Then I rather wait and buy 35mm f/1.8 DX later. im using the 18-105mm lens. do i need this filter? if i do, what kind of filter do you recommend? Sarena, if you shoot landscapes, then yes. I would recommend getting the B+W brand circular polarizers – they are the best. but some say Hoya is the best.. i dnt know what is correct? how about the prices? LOL – I prefer the Nikon ones. Hi Nasin, I am willing to buy a polarizer. I own a kit lens 18-55mm 1:3.5-5.6G DX which came along with my D5000. Is it possible to use a polarizer with this lens? What would be the best pick out in this case? Could you tell me the specifications to buy the correct filter? Thanks in advance, Eduardo S.
Eduardo, you can use a polarizing filter with any lens, as long as it has filter threads. You just need to match the filter with the filter size on your lens – I believe the 18-55mm takes 52mm lenses. Eduardo, I would not stack filters on your lenses. First, it degrades image quality and second , introduces vignetting on wider angles. i have 18-105mm lens and 50mm f1.8 lens. i just want to buy one CPL.so,in your opinion which lens should use the polarizer lens? is it 50mm lens since i like to shoot landscapes? can i use CPL to substitute UV filter function? is there any devices that can attach the polarizer filter to any size of lens? by getting one,maybe i can save lots of money here. thank you. Izzah, I would get a bigger CPL (like 77mm) with adapters to support your smaller lenses. oppss…sorry,i think you already answered my second question at the last paragraph.by using step up ring or adaptor ring,rite?please ignore my second question…anyway,can you please explain more about step up ring? Yeah, just get the 77mm polarizer and get step-up rings from your filter size to 77mm. Ever since I got ‘hook’ onto photography … your website and comments serve as a very important source of knowledge base on this expensive hobby of mine. Thank you very much for the effort. I recently purchase a D7000 and currently own the following lenses, going forward I would like to purchase a B+W circular polarizing filter. Please advise what size filter should I buy? I think Nasim will advise the same. I own a D90 with 18-105 and 35mm Nikkor lens. Reading your blog, I’m thinking of buying CPL for 18-105 mm lens now. I looked through the B+W CPL filters. It costs so expensive ($140) and I’m just a student!!! I found a review on CPL filter and learned that Marumi filter would also be compatible and twice as less expensive ($70) than B+W. Hoya would also another 25$ cheaper than B+W. I wonder that these three brand make much different? Have you heard about that? One more question, I already have a NC Nikon filter for both lens. Do I need to switch from CPL filter to NC filter when I take a photo indoor? Would a CPL filter make photo darker indoor? I own Canon 7D and have a kit lens 18-135 mm. I need to make some modeling shoots for my friend, so i’m getting Canon EF 50mm f/1.8 II Lens and it will be used outside. Do you think Hoya lens for the 50mm lens would suit me well? or you have other recommendations? I have a limited budget. i just want to ask if the polarizing filter will be fine if i take photos on people with a landscape background..? what will be the effect if i use a polarizing filter to take photo of people? how about indoor..? with flush and without flash condition..? Polarizer works fine with people, I have done it quite a bit in the past. You might not want to use it indoors, because it will decrease the amount of light by 1.5-2 stops. I am wondering if you will do a photography tips for ND filters. thanks. A very nice article, I enjoy it just as your other articles. Here I have a question: could yopu tell me what is the proper way to clean a polarizer filter? I have a Kenko CPL filter. Recently I tried to clean it in a way just as cleaning a normal camera lens, but some colorish smear marks of the lens cleaning solution on it. The I used a microfibre cloth and breath to clean the marks but I could not get the marks completely away. I searched the internet and found that this seems to be a common problem and I could not found a “correct answer” on the net. Some people suggested to use a lenspen, but some other people claimed that a lenspen will also leave some smear marks on the CPL filter. And, I have a FilterKlear™ LFK-1 lenspen and in the instruction it is written that “Do not use Lenspen® FilterKlear™ on polarizing filters or on wet surfaces.” Could you tell us how you clean your CPL filters? Hey Nasim, thanks for the great post. I have two questions, while taking a landscape photograph where do you focus and what metering mode do you use? When it comes to landscape photographs I am always confuse of where I should focus, the farthest from me or some thing close by and what metering mode should I use, center metering? Quick question. I am doing my first portrait out of class tomorrow. The man is balding. I thought of using the polarizer outside to cut any glare from his head. However, if I need to use flash, will that cause ill effect? Especially since I know the polarizer will cut down the light in general. Thanks! if i have a nikkon 55-300 mm lens what filter would you recommend? also is it good to use on everyday outdoor photography? I am new with photography and pretty soon I will have my own NikkonD5100, and I’m starting to research all the equipment that I would need..
Iam very new to DSLR world so please let me know if i use 35mm f/1.8 G in nikon d5100 for landscape and outdoor picture what should be the polarize filter size in 35mm as well as 18-55 lens which comes with camera….. I am in a similar situation. Personally, I would use it on the kit lens. I have an 18-105mm and I have ordered a Hoya HD cir-PL filter (it’s the best one that Hoya make). It depends what you use your 35mm lens for. I use the 35mm 1.8G mostly for portraits and low light photography where the large aperture of 1.8 comes into a world of its own. Adding a polarising filter for this purpse will have little or no affect. I use the kit lens as my “walk around lens” to shoot landscape, although at 18mm you have to be aware of barrel distortion, so shooting architecture close up is not recommended with this lens. From what I understand, the primary purpose of polarising filters is to bring out the contrast in scenic pictures: the blueness of the sky, green grass, and to reduce glare caused my the sun reflecting off shiny surfaces (the sea). Since, I will be using my kit lens for most of these situations I would use the polarising filter with this lens. However, there is nothing wrong with using a polarising filter with the 35mm lens. However, on a DX body like the D5100 or D7000, your angle of view is limited with this lens and so is not ideal for landscape photography. I would suggest getting a polarising filter for your 18-55mm. Thanks a lot for this article! I have been learning photography since i bought a Nikon D5000 2 years ago. Have bought multiple lenses although i never understood the big deal about filters. This one really explains in a simple article with pictures to show as proof. Thanks again..!! I have a couple of questions though.. I have 3 lenses – a Nikon 18-55mm, 55-300mm and a Tamron 10-24mm Nikon mount. Is a filter interchangeable between the nikon lenses? 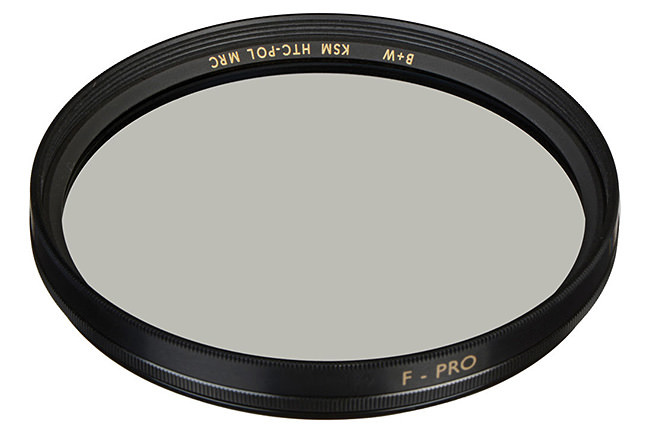 Are there specific filters based on different focal lengths? Thank you for the article, I read it with interest because I am also interested in landscape and polarizers. 1. you say the ‘best case scenario’ is to have the sun right behind you. For all I know, the highest polarization is at 90 degrees from the sun. If the sun is in front of the camera, or behind it, there is no effect at all. 2. the strong halos around the clouds are not result of the polarizer, but something you did in Photoshop. This might be misleading for someone who does not know what a polarizer does. 1) Yes, the sun behind you still works the best for polarization. I don’t mean to say that the sun should be behind you on the horizon – it just needs to be behind you to get the best effect without half-bright sky. Think 90 degrees from the sun to the sky, which could mean that the sun is almost directly over your head, but still behind you in terms of its position. If the sun is near the horizon, forget about polarization, as you have noted. If the sun is on the left/right sides of the frame, then polarization will be partial, as illustrated in one of the pictures above. If it is in the front, polarization will not be visible either. 2) Halos behind clouds are only visible in images #2 and #3. You are right, those are from the “Clarity” setting in Lightroom, which was set to around 50 value. 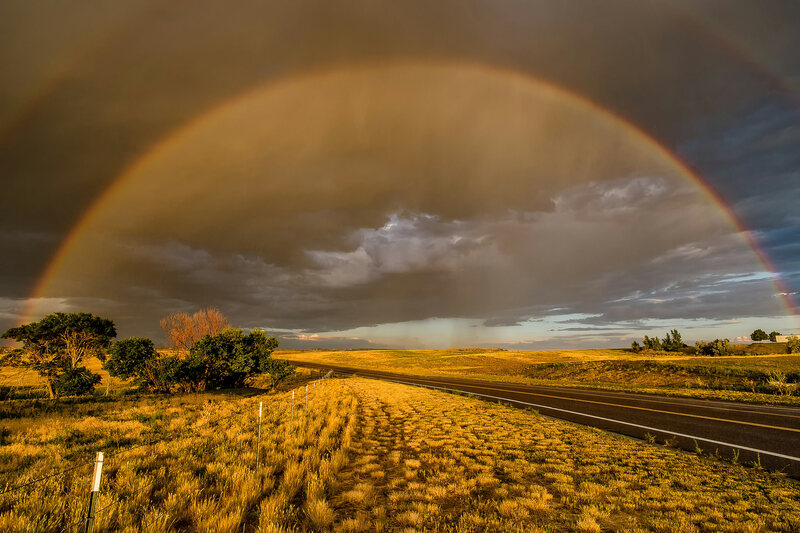 I did not state anywhere in the article that a polarizer will create those halos – I only said that it will darken the sky and brighten up/bring up the clouds (which it does). 3) Yes, again, this is a simple tutorial for beginners. I did not want to put too much info that could confuse people. You are right about the angle, I was only thinking in terms of horizontal angles (azimuth). With the sun right behind you there can still be a 90 degree between the camera axis and the sun direction. In that case, there will be no horizontal darkness gradients in the sky, which look quite bad. I learned something after all! I am a armature landscape photographer. 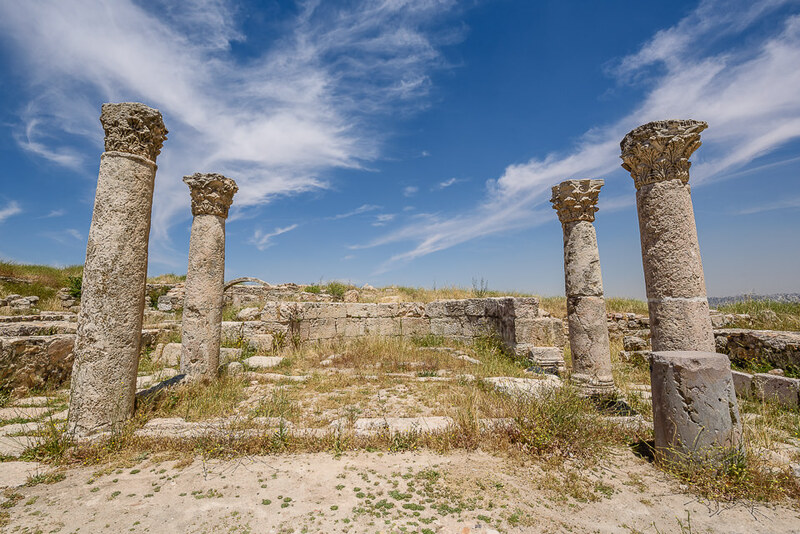 Is it necessary to use a polarizing filter always in the bright sunlight conditions? It depends on what you are trying to do. During daytime, I often use filters to reduce haze and get rid of reflections. Dear Nasim, Thanks a bundle for sharing your knowledge with us. I went to buy a CPL and all I could find in the market as a brand called Marumi. I briefly read some reviews and bought it. I am using it with my prime 35mm f/1.8 as well as with the 18-55mm kit lens but the polarization effect is not much. Maybe I used it at the wrong hour of the day, or maybe Marumi is just not a good enough brand. Can u guide me? Should I consider it a waste and simply buy a B+W or a similar brand online? Please guide me. Thanks in advance. Zeeshan, that’s why you don’t buy crappy filters :) Yes, brand and quality do matter big time, which is why I have been getting B+W filters for many years now. Marumi is the same as Hoya. I do have the B&W and it is great – a step up. Nassim – two things I wanted to point out. The step up rings often get stuck, so one should get a decent quality set and also have a filter wrench set available out in the field. Second, I think you should talk about hard/soft grads so people can see the uses for them as well. I was at Yellowstone and I used the grads more than my CPL. As far as I know, for the 18-105mm lens, the filter thread size is 67mm, not 52 or 58mm. If you want to buy a filter for your husband, either buy a 67mm sized filter, or buy slip ring adapters to make the sizes compatible. Zeeshan is correct: the AF-S DX NIKKOR 18-105mm f/3.5-5.6G ED VR has a 67 mm filter thread, which does not rotate with focus. 2. colour balancing filters (e.g. FLD and warming) because their effects are usually better achieved using white balance adjustments (which avoids the light loss of a filter). Also note that auto white balance will attempt to compensate for colour balancing filters, negating their effect. In your “Bad effect of a circular polarizer” shot, would rotating the polariser even up the sky ? It might be worth explaining the difference between linearly polarised and circularly polarised light. At first I thought a ‘circular polarizer’ was a round one, or one you could rotate. because they involve beamsplitters that may be sensitive to polarisation. which sometmes happens in production ! … and then you could get into crossed-polariser ‘variable ND’ (Neutral Density) Faders. Hi, This may seem a really silly question but here goes! When you say, “Thus, you could turn a sky from light blue to very dark blue or increase/decrease reflections by simply rotating the filter”, are you talking about a screw-in filter that you physically rotate. This means then that you simply tighten/loosen the round circular screw-in polarising filter? I can answer that one. No, the CPL filter is unlike other standard filters that are one piece. A CPL is a filter that is actually two filters. The bottom part of the filter screws on snugly to your lens, then the top part of the filter can rotate right or left as much as needed. Probably didn’t explain that very well, but if you look at pictures of one compared to a simple haze filter, for example, you’ll see the difference. Thank you for clearing this up, I understand now. I didn’t realise it comprised of 2 x parts ! Rotating a filter with my lens shade on is akward and its not long before fingerprints are all over the filter. Do you know of any shades that will allow you to rotate the filter by moving the shade and not touching the filter? I did not see a reply to the question about cleaning the filter. Can you please post it? I love CPLs and have one for another older Olympus camera, so would love one for my newest – an Olympus Pen E-PL1 Micro Four Thirds. I bought a step-down adaptor ring so I could use my existing 52mm Hoya filter on the 40.5 threads, however, when I try to rotate the filter, it causes resistance on the lens motor and I continuously get a “check the lens status” message. I don’t want to hurt the camera, so I’m thinking I need another type of CPL that does not have as much resistance. Are you aware of any that are extremely smooth to rotate? Or should I not worry about the messages my camera is sending me? What filter do you use for the beach? Hello Nasim. I read a lot from your articles and they are very informative .I am using a canon 10-22mm ultrawide angle lens and have read that using a polarizer will get weird effects on any ultra-wide angle lens due to unevenness of the sky. I am new to landscape photography and love it since then . Iam for sure will need a polarizer in my bag to cut out those reflections . By the way, can you please enlighten my understanding if the slim type of circular polarizer like for example the B + W 77mm Circular Polarizer Slim MRC Filter will do a good job about the issue I raised considering its weird/bad effects on UWA lens shots. thanks a lot..
which lens would be the best if used with CP polorizer ? i read many places that polorizer can be bad with ultra wide angle lens but i have a corpped body..so will that help ? I’ve just bought a Canon 700D with a 18-135mm lens. I’ve also got a UV filter as well as a digital circular polarizer filter. Should I use these together? If so, which one should go on first? Are there any particular conditions which warrant using just one or the other? I understood I should always use the UV? Does the polarizing filter do the same thing and more as the UV filter? I have a Nikon D90 with kit lens 18-105mm. I really like shooting macro and would love to hear your recommendations for a macro lens within a reason budget. Or, should I purchase an all purpose lens; If so, what would you recommend? I have D3200 with Kit lens (18-55mm). I am willing to equip it with CPL. But, the question that stuck me is “How can I properly function the CPL if the lens autofocus mechanism rotates the barrel?.” On the other hand, adjusting the CPL for the wanted result is rotating the filter. I found it hard in mind to use a CPL on lenses with rotating barrel on each one of them. Wahyu, that’s certainly the limitation of your lens. Most modern lenses do not have the rotating front element, so use of a filter is easier. In your case, you would have to acquire autofocus, then rotate the filter. Or use manual focus. I noted you mentioned in your article that you do not recommend the use of a polarizing filter with a lens 24mm or less, I have the 16-85mm DX which I used on my Cropped Sensor D7100. Would I have those problems as you describing above ? I use both a linear and circular polarizer (one for film, one for digital), but I seem to find almost no change when I rotate the circular polarizer, though I see a big effect on the linear. I know from the way it works that a circular also needs rotating, but I find it hard to know the right orientation. Yes, I place the camera on a tripod to ensure that the speed (I set the arpature and see the effect on the speed, to leave only one resultant variable). Still, though, when I rotate the polarizer I get less than a quarter of the effect of the linear one! If you understand geometry then make sure your lens is at a 90° angle to the light source. This is where you will find the greatest effect. Anything more or less changes the effect from 100% to 0%. Will a B+W ND filter screw on the B+W 77mm Kaesemann Circular Polarizer MRC Filter? If so which goes on the front? What did you mean by cheaper step up rings? Is B+W as good as Tiffen? Polarizer closest to the lens. I have decided to use a CPL filter for the first time. Am I correct is assuming it is best not to have a lens hood attached? I am unable to reach it with a hood attached or, more likely, am I doing something wrong? I have a 18-300 mm lens on a D5300 and I do a lot of landscapes especially mountains, snow and lakes. Should I be using a polarizer ? If so what size ? Nice article, really helpful for those who are confused in buying filters ! In you opinion, what is the widest focal lenght with which you can use a polarizer without getting problems in the sky ? Do you use a polarizer with focal lenght wider than 24 mm ? I’ve used CPL on my Sony lens 16mm – 105mm, but found there is a round circle and all coners are dark on the picture, is the CPL uncompatible for using this lens with 16mm ? Thanks. William, your CPL is either too thick for the lens, or the lens just does not handle vignetting very well in the first place, so an added filter makes things much worse. Try to use a slim / nano filter and see if it makes a difference. How do you adjust the polarizer with the hood on? Take the hood off before shooting. Marissa, it depends on the hood and lens. On some lenses you can reach in and rotate the filter without issues with the hood attached, while on other lenses, it is a real pain. Unless the sun is shining on your lens, I would take the hood off. Can we use a polarizing filter on a bridge camera? I am wondering that same thing. Of course, you can use a polarizing filter on any camera! Is there any other option to mount a polariser on a lens other than the lens threading, something similar to the bayonet mount that is used to mount lenses? Sandeep, some high-end lenses only allow polarizing filters to be mounted inside them. For normal lenses, if you cannot use the filter thread for some reason, then you don’t have many options. If you have a wide-angle lens that does not have a filter thread, then you will need to get a filter holder and a larger CPL + filters. Take a look at our review of Wonderpana to see what the setup would look like. One other slightly less known problem with pola filters is that they can remove rainbows in your shots. I was shooting a waterfall and wanted to reduce reflections on wet rocks in the foreground, but no matter how I rotated the pola filter it also removed a huge rainbow arching through mist downstream. In the end I had to combine two exposures to remove the reflections but still keep the rainbow. Interesting. It must have been something special with the angles in my waterfall example. Would you recommend a “step down filter ring”? I purchased 4 different types of filters for the biggest filter size I had at the time 72mm. Now I just purchased an 70-200mm Tamron with a filter size of 77mm. You see where this is going? Anyway I didn’t wish to buy new filters so I opt to buy a “step down ring”. The only problem is I notice vignetting on my new77mm lens. So to compensate I went into my D810 settings and introduced ” reduce vignetting” . It did help for sure. Anyway that is my story. Dana, no, I would never recommend to use step-down rings. They result in vignetting and they block light from entering your lens. The best option is to buy a large filter, then to use step-up rings on lenses with smaller filters. As for the vignetting reduction on your camera, that’s only affecting JPEG images – it does absolutely nothing for RAW. Thank you Nasim for your opinion on step down rings. Yes I can see your point and I regret I didn’t go bigger when I was purchasing the lens filters. Ok here is a question. I shoot mostly landscapes. What filter would you recommend for my 70 – 200 mm lens? Do you have any experience with Breakthrough Photography CPL’s? I have the B&W and it’s great, but I just find it extremely difficult to remove from the lens. I love your website. Thanks for all of the terrific articles! Thank you Nasim. That’s not suspicious or anything is it. Hmm. Still, I’ve heard nothing but great things about Breakthrough. I’m using Hoya polarizing filter and I’m glad with the overall quality of the filter. It removes more light than your B+W filter though. From my experience it removes about two and a half stops of light. Sinisa, glad you found the article useful! I use a polarizing filter nearly all the time to boost contrast and color saturation which may be somewhat more important when using vintage glass which is often uncoated or single coated. I mostly shoot with m42 lenses on a Sony Alpha a850 digital camera. I often think when viewing the work of others that their photographs could be improved by using such a filter. I suspect that the very high price of some filters discourages many from acquiring them, but there is a Chinese brand available on eBay, Tianya, that makes filters that rival the premium brands at a fraction of the cost. I have been using them for years now. They’re excellent. William, I personally would not use a CPL all the time, since it robs of light and sometimes you want to have natural reflections and colors in a scene. I only mount a CPL when I have a specific issue I need to tackle, where the polarizer does its job. As for Tianya, I haven’t heard of them. You definitely do not want to mount a cheap filter in front of the lens though – unless Tianya makes their filters from Schott-grade or equivalent glass and several layers of multi-coating, I would not recommend them. I think you might want to try the Tianya filters before dismissing them as “cheap”. The Chinese optical industry has come quite far in the last few years. I happen to believe a high price tag does not always ensure a superior product. I have B&H filters, Hoya and Tiffen, as well. I prefer Tianya. William, I am sorry if it reads this way, but when I said “cheap”, I did not directly refer to Tianya filters – I meant that one should not mount cheap, low quality filters from any brand. Even good brands like Tiffen have their cheap filters that will diminish image quality. Good glass is expensive to make and coat…not much you can do to get around that. If I have a chance to test the Tianya filters, I will definitely take a closer look, thanks for letting me know! This is a great aticle, I intend to do a lot of landscape photography this year and I am now convinced that a polarizing filter is a must have. The example about haze reduction and the waterfall picture are particularly convincing. I suppose they can also be used to enhance the colors while taking sunrise or sunset pictures. For example, I remember the picture you took at Zabriskie Point during the sunrise, which has very vivid colors. Did you use a filter for this one ? Flavien, glad you found the article useful. I do use a polarizer at sunrise and sunset times too, typically to cut down the haze. In the picture of Zabriskie Point you saw, I did not have to use a CPL, since the scene already had a lot of color saturation naturally and the haze in the distance was non-existent. Also, keep in mind that I shot a panorama and a CPL can hurt panoramas badly with very inconsistent-looking sky. How u use Polariser in 15-30 f2.8 lens in one of your photo above? I mean which type? Chandan, the WonderPana filter holder works great on the Tamron 15-30mm f/2.8. Check out my review of the WonderPana filter holder. But remember the limitations! Be very careful with blue sky. I’ve been contemplating the WonderPana holder too, but I want to make sure I can make good use of a far less expensive CPL on my 24-85 before I make the enormous investment. I wish I could simply rent the WonderPana and filters needed to test drive the set. Nasim, what a great article! Thank you! I wholeheartedly agree with your rationale and advice for using the polarizer filter (also one of my personal favorite tools), in particular your advice for selectively using this filter for obtaining a specific effect(s), not necessarily for each and every exposure. In addition to polarizer filters, I heavily use UV filters, black and white color contrast filters, and warming filters, all of which I use for a specific objective. As with any tool, it is wise to reserve the polarizer for a given purpose rather than use it indiscriminately. And as with many things in photography, it all boils down to visualization . . .
Nasim, thanks for the good tips ! about “Polarizing filters require more time to set up and use”, I wouldn’t call that a downside ! Framing a nice landscape needs time and using a polarizer can help us chasing the right options… as it takes time to set up ! That leaves us time to think. Great article and pictures to illustrate the major points. I own a Nikon D7000 and just bought a Polarizing filter. Do you recommend to start using the Auto or the Exposure mode? I notice you use low ISO 100 to 200. Any recommendation for a starting setting (landscape, daytime)? Im new to landscape photography so please forgive my ignorance. When trying to capture silky waterfalls or large bodies of water just using the polarizer it didn’t work for me, so I started to use a ND filter instead which did. The waterfall image you included is exactly the kind of feel I’m looking for, where you able to capture that mage only using a Polarizer? Did I just not have a good enough understanding of how the Polarizer works? I am a beginner photographer with a website design business. I was hoping you could recommend a camera to me that would be appropriate for taking pictures that would serve as hero images on websites. Many of my clients have the need for high resolution images both indoor and outdoor that they would want to insert on their websites and literature. Can you give me a few options please? With a D850, do you recommend “center weighted” metering instead of “matrix metering” with the use of a CPL as the Nikon manual (pg. 124 Exposure-Metering) states for filters > 1 stop light loss? I have a problem. My new B&W Digital MRC nano XS-Pro filter simply isn’t working. I am not new to photography. You could call me a serious hobbyist. I recently bought the Sony RX 10 iv camera and have been experimenting with the new circular polarizer. I have tried it with the live viewfinder as well as the LCD. No matter how much i tried rotating the filter i saw no effect. I placed the camera on tripod around mid day and took 20 shots at 5 degree rotation each but the photos show no effect. Should i return the filter ? Another great article as always. I wonder if you can help me with some information I’ve been searching on the internet to no avail for a solution for a polariser filter for my Canon 11-24 F4 lens to fit at the rear of the lens, I have currently invested on the 100mm LEE filter system with Polarisers and GND filters and would like to avoid in investing in the NISI 180mm massive glass system. The front element is about 108mm with a fixed lens hood Canon has designed it with a rear slot at the back of the lens to fit 30mm X 30mm gel filters but don’t have any for sale. Will a gel polariser work at the rear of the lens? If so do you have any recommendations where I could get a quality one which would maintain the image quality? Im looking into the Tiffen or Hoya filter kit. Each one has the polarizer filter. I have a canon rebel xsi with a 50mm EF 1.8 52mm thread lens. I was wondering how you got such a clean shot of the waterfall? Did you use a tripod? Nassim, I bought the B+W 77mm XS-Pro Kaeseman Circular Polarizing MRC Nano filter on your recommendation and I thought I would share with you that I am very disappointed with this filter. It gives a yellow cast to all shots, making (at least with my Nikon body and lenses) the sky look slightly greyish / greenish. Even with tweaking the WB, the result with the skies is far from pleasing, which defeats the very purpose of a polarising filter.